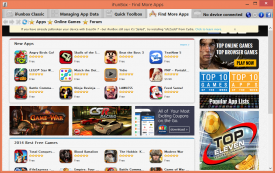 "Download and manage apps on your iOS device with i-Funbox." Tired of having to install an application to your iPhone, iPad, or iPod Touch one by one? Wouldn't it be nice if your app managing application told you when an app was free and automatically downloaded it for you before the price increase in the App Store? Update all of your apps with one click? And manage files on your iOS device with an interface similar to a normal folder? If your answer was "Yes," to any of those questions, i-Funbox is for you. 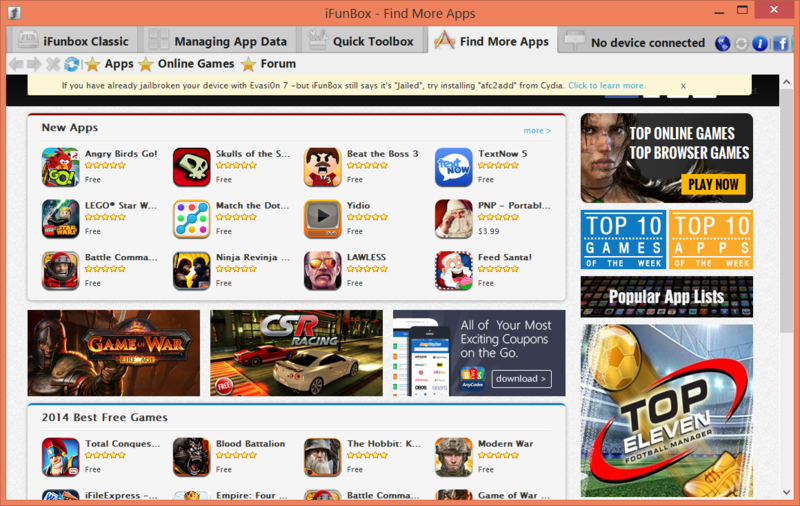 i-Funbox is an application that is dedicated to making your iOS experience easier and feature rich on Windows operating systems. Because, face it, Apple hasn't been the nicest when it comes to the PC iTunes application vs the Mac application. i-Funbox aims to change that with new or improved features that the PC iTunes application should have had a long time ago. One of these features is the batch installation feature. This feature allows you to select multiple applications from the store, download, and install them to your device with just one click. There is no unnecessary, time-consuming synchronization needed. Just one click. i-Funbox can also automatically download an application for you when it goes on sale through the store so that you never miss a great deal again. If that isn't enough, with i-Funbox you can also manage file on your iOS device like all other devices connected to a Windows PC so that you can take advantage of seamless file transfer, addition to, and deletion from your device.